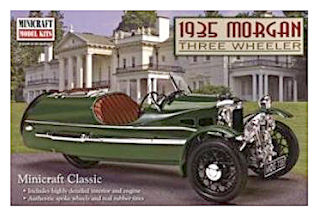 SMN report: Not that you can buy a kit of the Morgan EV3 - yet. But there are kits and collectibles available of the ultra-traditional hangovers from a golden age made by Morgan. The all-electric Morgan EV3 can accelerate from 0-60 mph in nine seconds, and can reach a top speed of 90 mph-plus. Just as importantly, despite its diminutive size, the battery pack gives it reasonable legs - the EV3 is claimed to have a range of some 150 miles on a single charge. The SMN view? Morgan's EV3 looks fantastic, and that off-centre headlight is weird but wonderful. 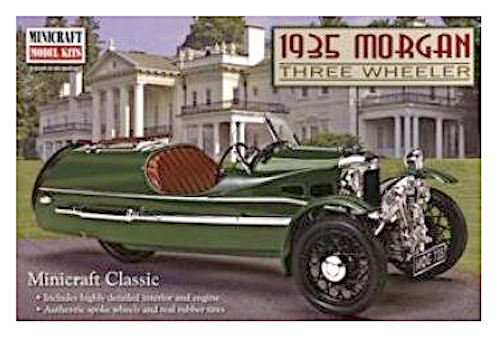 There aren't too many Morgan kits around, though the Minicraft 1935 three-wheeler (below) is attractive, even if the 1:16 scale is a slightly odd choice. However, it would fit into a collection of 1:18 diecast ready-builts without any real misgivings. 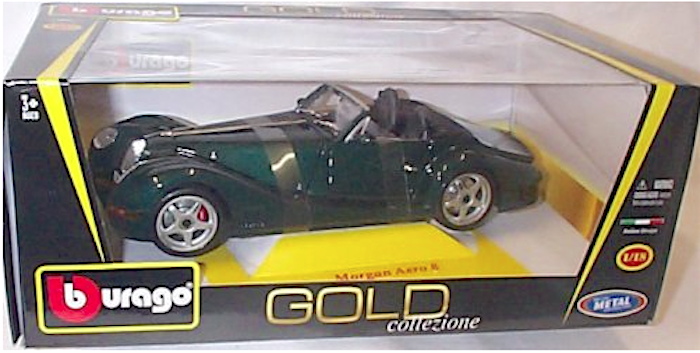 The Bburago 1:18 scale Morgan Aero 8 (below) is a good rendering of this slightly cross-eyed design. As ever with diecasts - particularly to this big scale - there's nothing to stop you turning a relatively cheap buy into an award-winning replica, especially as most of them are assembled with screws, so take to bits easily enough. You may need a hacksaw and metal file though, if you want to carry out major changes. Bburago make other Morgans too, such as the Plus 4 (below). 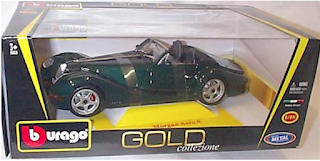 Another model that's worth looking for is the excellent Kyosho Morgan 4/4, also to 1:18 scale. 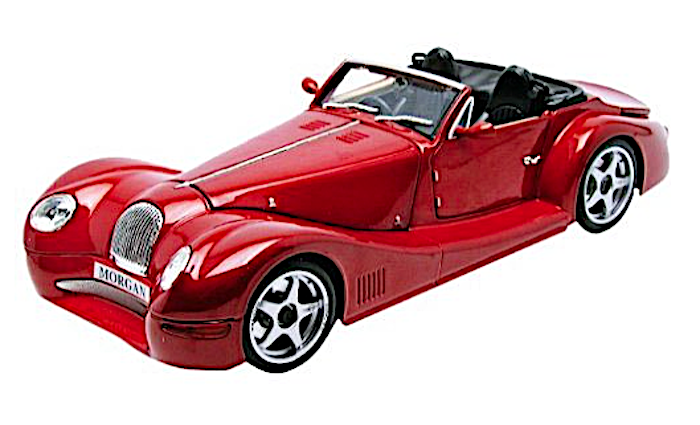 This features various opening parts, plus an exquisitely detailed engine compartment. Click here for more Morgans at SMN.